The two latest episodes of Sailor Moon R are now available on Hulu and Neon Alley. 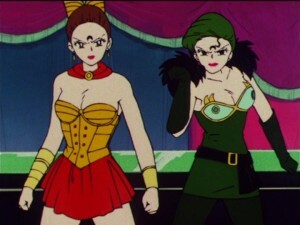 This week for episodes 65 and 66 we have the Sailor Guardians face off against Petz and Calaveras … twice. 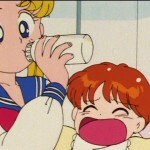 Episode 65, Dispute Over Love: Minako and Makoto’s Conflict, has Sailor Jupiter and Sailor Venus sharing an episode! We recently saw Ami and Rei get their own episodes but I guess Makoto and Minako weren’t able to hold their own! 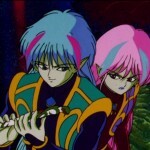 Instead they fight with each other for a while, which is mimicked by Calaveras and Petz’s bickering and fighting in this same episode. Sailor Jupiter uses Sparkling Wide Pressure for the first time in the ensuing fight while Sailor Venus uses her Venus Love Me Chain for the first time. The Droid in this episode is made out of wine which is kind of cool! Episode 66, Usagi’s Parental Love: the Curry Romance Triangle is all about making curry! We get a good look at the future version of Usagi and Mamoru in this episode. 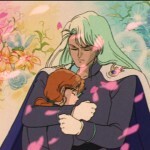 Normally when we see Crystal Tokyo in other episodes we see Neo Queen Serenity and King Endymion all decked out in their royal garb. Here we seem to be seeing them in civilian clothes, though those are fairly fancy clothes. 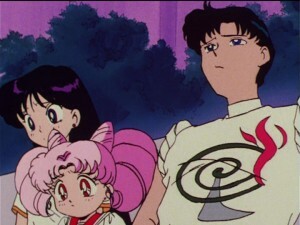 Chibiusa thinks a lot about her parents as she gets close to Usagi and Mamoru. So right. Curry. Chibiusa needs to make curry for a school curry party. Is this a thing in Japan? In North America we do pot lucks but diversity is the key. Having a pot luck where everyone brings the same food is a bit of a waste of time. Whatever. Usagi, Chibiusa and Mamoru go to Juban Super, the supermarket in Azuba Juban, to get some meat. Too bad Calaveras and Petz took over the supermarket and turned all of the patrons into zombies! Unfortunately the zombies’ black skin makes it look a bit like all of the zombies are really just dark skinned minorities. 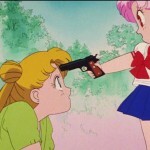 Finally Chibiusa and Mamoru ditch Usagi and run into Rei. Rei reluctantly agrees to help them make curry, but ultimately Chibiusa decides to go back to Usagi. This makes us wonder what the Curry Romance Triangle mentioned in the title actually is. Is it Chibiusa/Mamoru/Usagi? This love triangle is always a problem and at the heart of the Sailor Moon R series, culminating in some rather incestual behaviour between Black Lady and Tuxedo Mask. The other love triangle here is the Usagi/Mamoru/Rei combo. 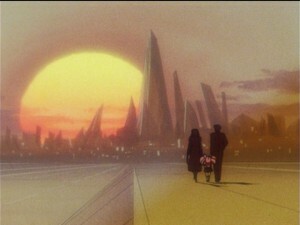 Rei and Mamoru were a legitimate couple in the first season, something which ended abruptly when Mamoru was mortally wounded, regained memories of a past life and then was turned evil. 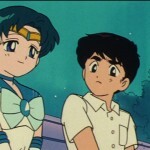 The Moonlight Knight only recently gave Mamoru his memories of him and Rei’s relationship back at which point there was an assumed romance between him and Usagi, but the choice was never really presented to him. We can see Rei’s obvious hesitation at getting in the middle of existing relationships. Where does this hesitation come from? Does she not want to take Usagi’s place in her relationship with Chibiusa or is is that she’s worried she may rekindle some old feeling between herself and Mamoru? 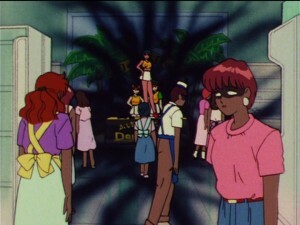 Luckily Mamoru is wearing the absolute worst shirt so there’s no risk of a hot girl like Rei falling for that! This is supposed to be one of those mosquito repellent things, right? Next week is episode 67, The Beach, the Island and a Vacation: The Guardians’ Break, which was not previously dubbed into English or released in Viz’s subbed only set. This entry was posted in Sailor Moon Anime (1992) and tagged Azuba Juban, Calaveras, Chibiusa, King Endymion, Neo Queen Serenity, Petz, Sailor Jupiter, Sailor Mars, Sailor Moon, Sailor Moon R, Sailor Venus, Sparkling Wide Pressure, Tuxedo Mask, Venus Love Me Chain by Adam. Bookmark the permalink.